A body exhumed during a search in June for one of those murdered and secretly buried by the IRA is not one of the Disappeared, DNA results have shown. The remains were taken from a graveyard in Scotstown in County Monaghan. The Commission for the Location of Victims said nothing suspicious was found. 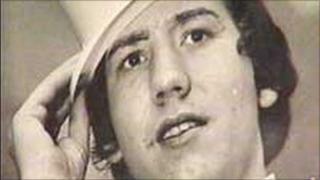 Previous digs in the search for 17-year-old Columba McVeigh, from Donaghmore, County Tyrone, have taken place nearby. Mr McVeigh was abducted and murdered by the IRA in 1975. The Independent Commission for the Location of Victims Remains (ICLVR) said: "Nothing suspicious or that requires further Garda or ICLVR investigation was discovered during the exhumation or subsequent forensic examination. "The remains removed will be re-interred in due course." Oliver McVeigh said he was disappointed but not surprised that the remains were not those of his brother Columba. "I was aware of the whole scenario, but it's a disappointment that my brother's body hasn't been found. "This was information that came from locals in that area so I had known about it for some time and I knew that it had been followed up. "Even though I was aware of it and it didn't really add up, you were still hopeful." Mr McVeigh said the family's fight would go on, but what they really wanted was information from the IRA. "They're the ones that we want to get the information off, that's all we want to do. We don't want anything else," he said. "All we want is the information so we can go to the commission and the body can be recovered because this has been going on a long time and we want it all brought to a close."